Marine Dynamics Shark Tours and sister company Dyer Island Cruises are excited to have represented the Overberg region at the South African Blue Flag launch for the 2016/2017 season. Whale Whisperer was the pilot blue flag boat in South Africa and now we have both vessels, Dream Catcher and Whale Whisperer, Blue Flag certified. This year provided the first opportunity for shark cage diving vessels to apply for Blue Flag certification and Slashfin is now a proud representative as well. Blue Flag in South Africa is managed by WESSA (Wildlife and Environment Society of South Africa). Applications for the prestigious Blue Flag eco-label were reviewed by a rigorous approval process concerning national and international assessments. It was announced at the annual launch last week that a total of eight sustainable tourism boats, of which all are based in the Western Cape, received Blue Flag status. Responsible Traveller Magazine owner, Tessa Buhrmann, accepted the Blue Flags on behalf of Marine Dynamics and Dyer Island Cruises in a dynamic event held in Kwazulu-Natal. “It was an honour to represent Marine Dynamics and Dyer Island Cruises as, not only are they committed to conservation and research, but as a Fair Trade Tourism certified business they operate with an ethos of having a positive impact on both people and the planet. This is summed up by their tag line – ‘Your choice makes a difference’,” said Tessa. Marine Dynamics and Dyer Island Cruises are instrumental in the Gansbaai area by investing and participating in these prestigious projects to ensure only the best service and quality excursions to our shared tourism clients in the Overberg region,” says marketing executive Cari du Preez. “Today’s traveller is more discerning and very keen to have information about the businesses whom they spent their money with. Information is also easy to verify and it is general practice to look for industry endorsements to assist with decision making. The Blue Flag programme is known to cover pristine beaches but also includes marinas and boats. As part of the infrastructure these are very necessary categories that are part of the tourism experience. Marine Dynamics has been the recipient of many sustainable tourism awards and the Blue Flag endorsement is a further feather in their responsible cap.” Frieda Lloyd, Cape Whale Coast Tourism Manager. According to Gansbaai Tourism Manager, Glenda Kitley: “It comes to no surprise that Dyer Island Cruises’ two vessels have once again been awarded Blue Flag status, and that Marine Dynamics’s vessel has also been included this year. We are well aware that they meet a high standard of excellence in all of their business aspects. We are extremely pleased and proud that they have been awarded this status as a reward for all the hard work, care and passion that is put in to ensure that the tourist has a wonderful and safe experience. We extend hearty congratulations to Wilfred and his team! The Western Cape has achieved the highest number of Blue Flag sites, with 29 of the beaches, all eight boats and four of the five Blue Flag marinas falling in the province. Imonti wins 2 Lilizela Awards! Morning Sun Nature Reserve wins a WESSA Award. Three Trees wins a Lilizela Award. Umlani wins a Lilizela Award, again! It is raining awards for Ubuntu Experiences! Imonti Tours, Three Tree Hill Lodge and Umlani Bushcamp all won provincial Lilizela Awards for service excellence and Mashovhela Lodge situated on Morning Sun Nature Reserve, won a WESSA Award for conservation work. Ubuntu Experiences recently travelled to the the UK to connect with travel agents and tour operators looking for more inspiring places to stay and things to do in Africa. This roadshow was organised by On Show Solutions and is proving a great format for Ubuntu Experiences to increase the number of B2B contacts in Europe. Earlier this year we attended a similar event in the Nordics. Nothing beats a face-to-face meeting to ensure your tourism product is top of mind. Are you a South African tourism business and need some help opening new doors in Europe? 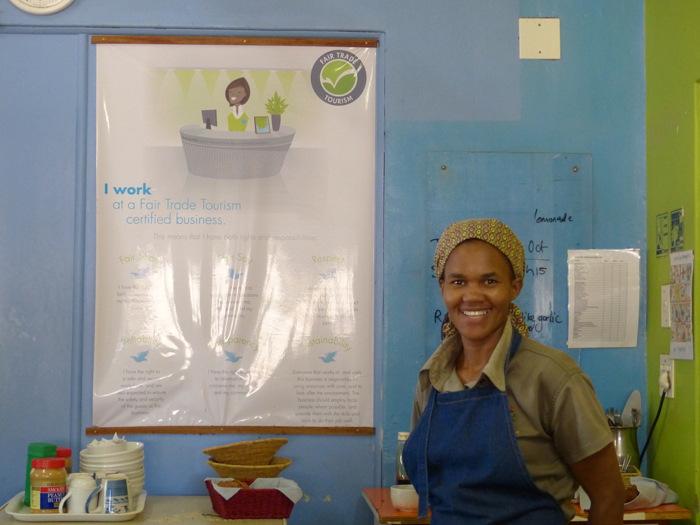 Ubuntu Experiences is happy to welcome new responsible tourism businesses to the collective. 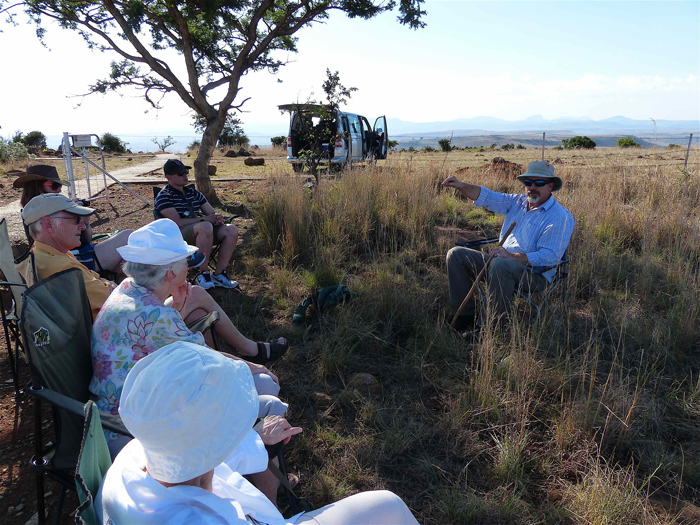 Email Emilie emilie@greenhearttourism.com for more details on how to join. 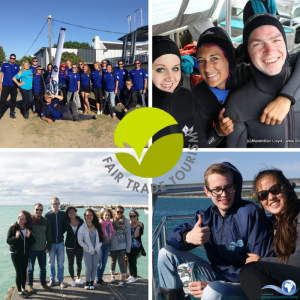 Marine volunteering program International Marine Volunteers (IMV) recently became Fair Trade Tourism certified. This means IMV has now achieved the same level of responsible tourism best practise as sister companies Marine Dynamics and Dyer Island Cruises. 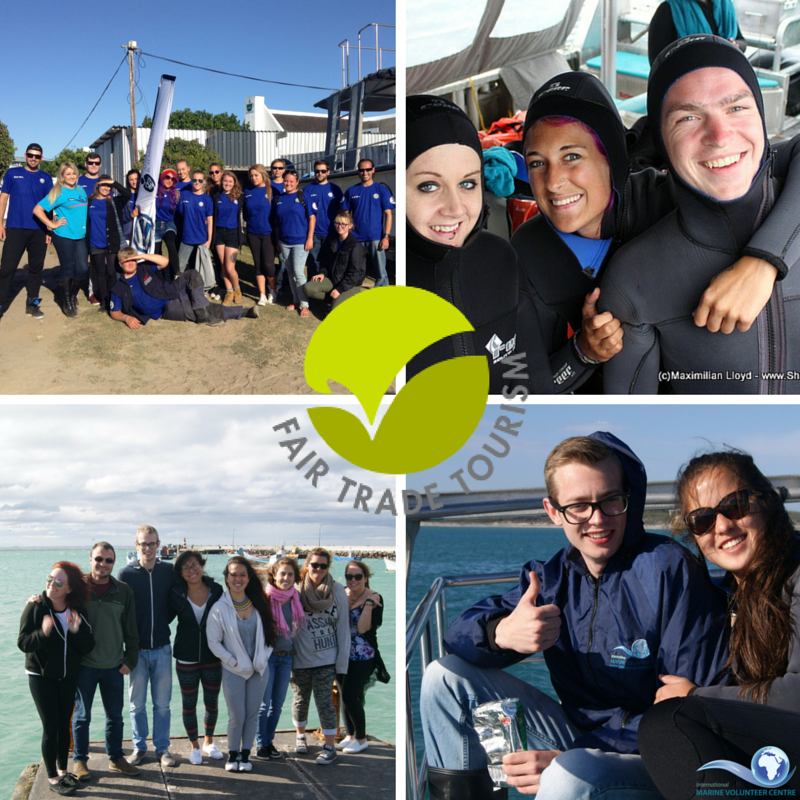 Fair Trade Tourism has strict criteria for responsible volunteering and has revised and added criteria for volunteer interactions with animals and vulnerable people. This comes at a time when the debate on what constitutes a responsible volunteering program is hotting up worldwide. South Africa is once again taking the lead in developing guidance for both travellers and travel companies. Read more on the Marine Dynamics blog. Fancy volunteering in Gansbaai and help protect the Marine Big 5? Big, bluff and burly, Chivell is someone who knows all about imminent extinction – he lost everything he had in 1998. A native of Gansbaai, the little fishing town on the other side of Hermanus in the Western Cape, Chivell had built up a successful little business empire after a chequered career that took him from a stint in the police to diamond diving on the West Coast and discovering that he had no taste for the bright lights of Cape Town. Coming home with R2 000 in his pocket and assisted by one man, he mixed cement for builders. By 1998, he had five companies and employed 200 people. 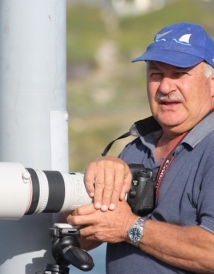 Read more about how this tenacious visionary man brought tourism and conservation together in Gansbaai in this insightful article by IOL. You can also read more about the Responsible Tourism Award he recently won at WTM Africa in Cape Town. Ubuntu Experiences welcomes member Sefapane Lodge & Safaris. “Well known for having built up the beautiful Sefapane Lodge in Phalaborwa since taking it over in 1998, Joris Bertens has been a significant figure in the promotion of South Africa’s Limpopo province and is known as an astute businessman and energetic entrepreneur. 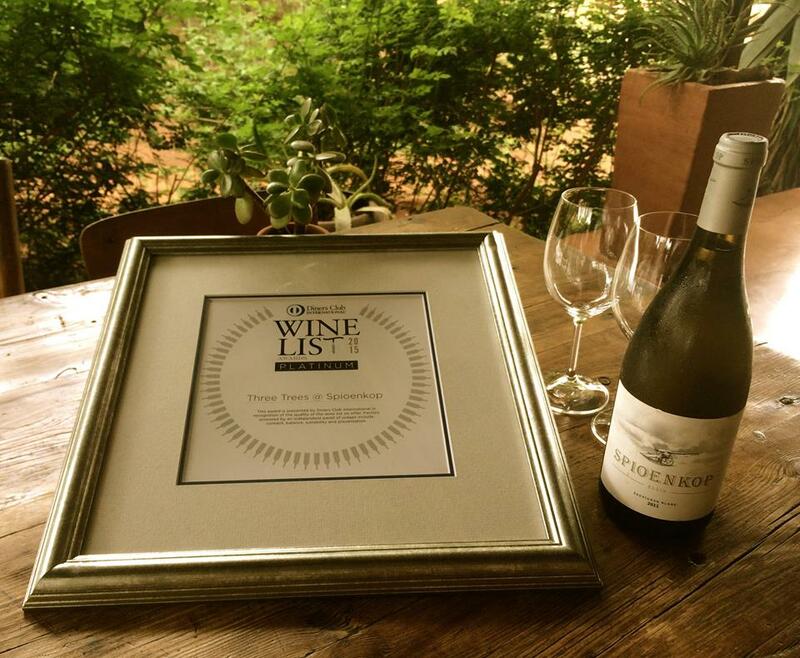 Three Trees at Spioenkop has been awarded a Platinum Diners Club Wine List Award for their excellent choice in the best of South African wines. 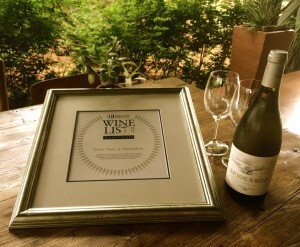 Their list has a great variety & diversity of wines that compliment their product. Organic, Fair Trade and Bio-dynamic wines in each variety add to their unique list. South Africa is a sensational destination for food and wine lovers. Ubuntu Experiences all offer delicious pan-African meals and pour the very best South African wines which is why we will be attending the Taste and Travel Fair in Rotterdam. During presentations you will learn more about local food and wine sourcing, growing your own fruit, vegetables and herbs as well as using clever energy saving gadgets to prepare food for guests. Responsible tourism at its very best! 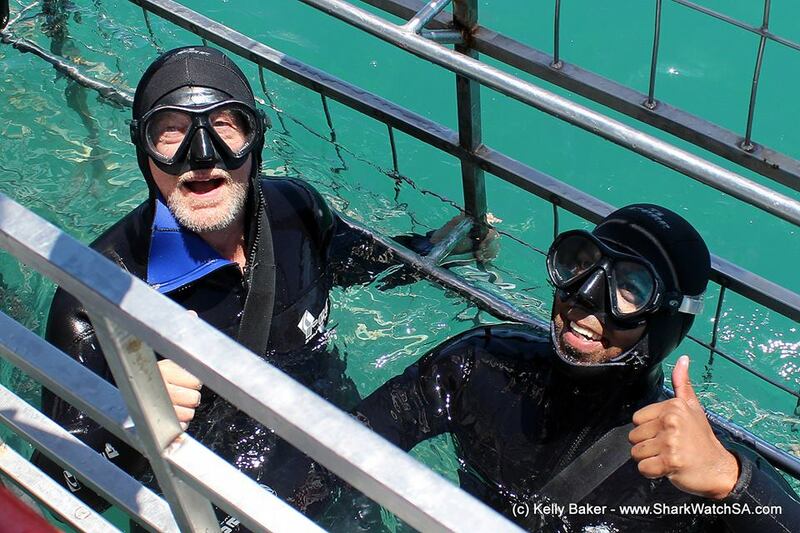 South Africa’s Minister of Tourism Derek Hanekom is a great supporter of responsible tourism and also a really good sport. 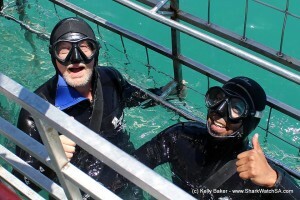 This week he went shark cage diving with Marine Dynamics! 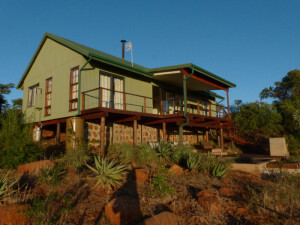 Three Tree Hill Lodge (also known as Three Trees at Spioenkop) is an homage to this bygone colonial era, with its original farmhouse now a stylish lounge and dining room, spilling out onto a shady stoep where breakfasts are eaten while Simon enchants guests with his seemingly bottomless knowledge of the history of the area. A stroll around the lounge and dining room after breakfast adds to Simon’s period dramas, as the faces from those dark days stare out of hundreds of antique portraits, photographs and etchings from the newspapers of the age. Books on the war and its chief protagonists on both sides are everywhere, as are mementos and curiosities from this bygone era, from old field glasses to rifles. 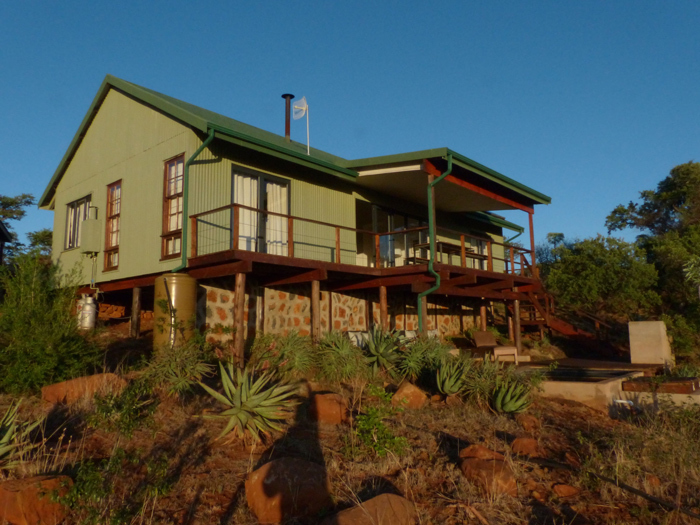 Guest suites are dotted in amongst trees on the side of the hill, which overlooks Spioenkop and its adjacent game reserve where Simon takes guests on game walks. Near the crest of the hill is the lodge’s private villa, Churchill’s, built in 2012 to mimic the colonial style, while integrating a completely green energy and water system, keeping its footprint as environmentally friendly as possible. Read more in Africa Geographic. Ubuntu Experiences member Three Tree Hill Lodge in Kwa Zulu Natal is the perfect employer and confirms that happy staff means happy guests. 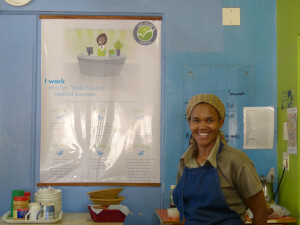 The staff are proud to be working for a Fair Trade Tourism employer and know exactly what it means to them. Empowerment is one of the many outstanding ethics at Three Trees, which is Fair Trade Tourism certified. “We take good care of our staff,” says Simon Blackburn who owns and runs the lodge with his wife Cheryl. “Our people are our biggest asset, and if they are happy, then our guests are happy, so we do everything we can to encourage staff to be entrepreneurial and further their careers with us,” he adds.